"The Special Rapporteur on the right to privacy, Joe Cannataci, plans to meet Wikileaks founder Julian Assange on 25 April," the statement said on Friday. 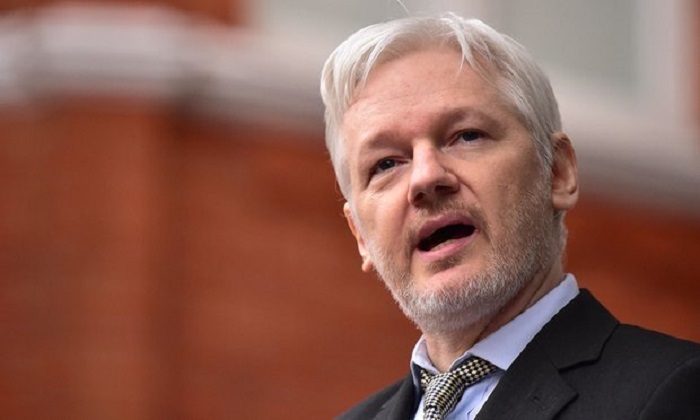 The meeting will take place at the Ecuadorian embassy in London after the UN expert receives assurances from the Ecuadorian officials that they would facilitate the visit, according to the statement. "The UN expert said the meeting would help determine if there exists a prima facie [at first sight] case of violation of privacy that warrants further investigation," the statement said. WikiLeaks earlier quoted a "high-level source" saying Assange will be expelled from the Ecuadorian embassy within hours or days. Earlier this week, in an interview with a local broadcaster, Ecuadorian President Lenin Moreno accused Assange of violating the conditions of his stay in the embassy. Specifically, the president argued that Assange could not meddle in politics of other states, particularly, Ecuador's partners. Assange has been living in the Ecuadorian embassy in the United Kingdom, since 2012. The activist has repeatedly said he feared extradition to the United States due to the fact that he had published thousands of leaked classified US authorities’ documents. His defence team has cited media reports suggesting that Moreno had sought to reach an agreement with the United States on handing Assange over to Washington in exchange for "debt relief."